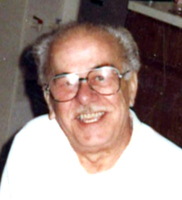 Provide comfort for the family of George Del Casale with a meaningful gesture of sympathy. Mr. George D. Del Casale passed away peacefully on Tuesday, March 19, 2019. He was 87 years of age. George was an intelligent, clever guy with a smart sense of humor. He was a family oriented man who successfully reinvented himself several times during his life. Born and raised in Philadelphia, George was a graduate of Edward W. Bok Technical High School and Drexel University. Prior to retirement he worked as an electrical engineer for Burroughs, General Electric and Unisys. George was the happiest when he was in the company of children; they always brought a genuine smile to his face. He is the beloved husband of 65 years to Alice M. (nee Casalnova); devoted father of Lisa M. Del Casale, John J. Del Casale (Linda M.) and Robert George Del Casale; dear brother of Grace Del Casale; loving grandfather of Connor Zielinski, Nicole M. Del Casale and Christina R. Del Casale. Relatives and friends are invited to attend his viewing 9 AM and Funeral Mass 10 AM, Monday in St. Monica’s Church, 17th & Ritner Sts. Entombment Holy Cross Cemetery, Yeadon. To send flowers in memory of George D. Del Casale, please visit our Heartfelt Sympathies Store. Provide comfort for the family of George D. Del Casale by sending flowers. My deepest sympathy. May his soul Rest In Peace. Love the the Del Casale Familly.